Our Conference was a little before the 2015 General Election. So, based on what they had heard, we asked people to talk in small groups and come back with questions that they would like to take to Parliamentary candidates. The election is over but the problems of food poverty continue. 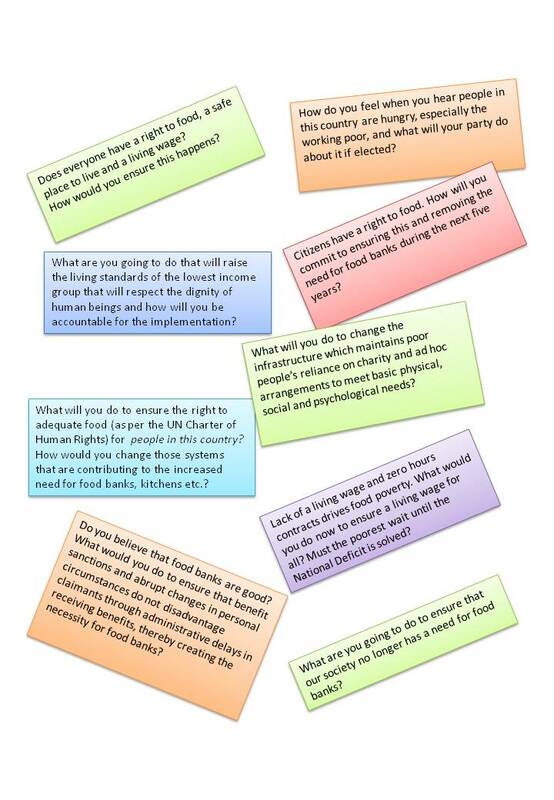 Many of the questions are still pertinent – is there a way that you could ask these questions of your own MP?